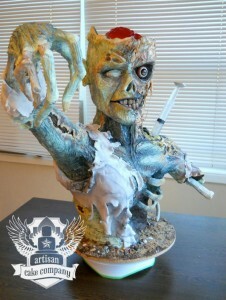 Sent to us via Facebook Im amazed at how good this Zombie cake is! Made by the clearly very talented team at Artisan Cake Company in Portland, Oregan USA. I guess Australia is a bit too far ? This entry was posted in Zombie Food. Bookmark the permalink.